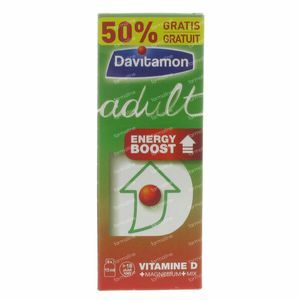 Davitamon Adult Energy Boost Promo 120 ml vials order online. 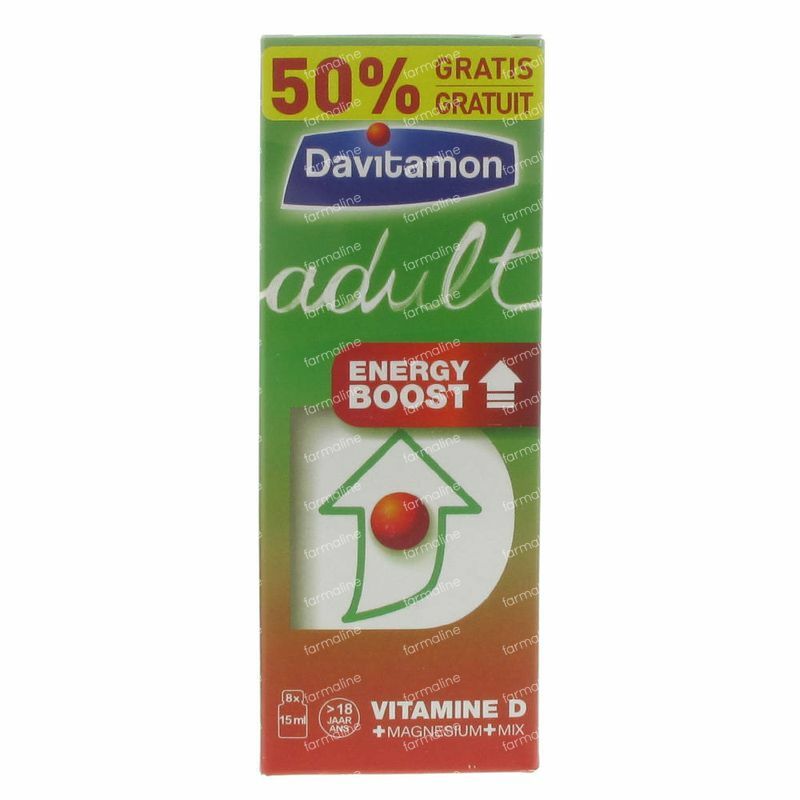 Davitamon Energy Adult is a dietary supplement with an extremely balanced composition of vitamins and minerals, enriched with the unique standardized GGE Ginseng Extract and Guarana Extract. Davitamon Energy Adult gives you more strength and energy. Davitamon Energy Adult is recommended for short-term physical and mental fatigue, temporary stress, decreased energy and improve concentration. Daily use of Davitamon Energy Adult helps achieve and maintain a healthy body and mind. Keep at room temperature on a cold and dark place. Keep out of reach of young children.